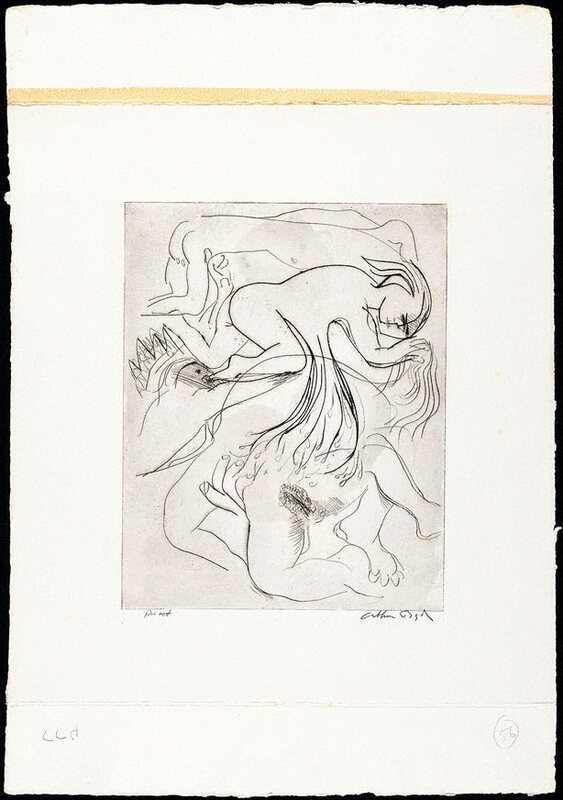 Signed lower c. to l.l., pencil "Arthur Boyd". Signed u.r. to u.r. corner, pencil "Arthur Boyd". Not dated. Peter Porter, Jonah , London, 1973, 97. NOTE: This image is reproduced 'sideways'.